There are lots of destination sites, dining choices, and accommodations that everyone will surely love to enjoy during their Thai vacation. Honeymoons, walking/hiking holidays, scuba diving holidays, cycling holidays, wildlife tours, beach holidays, family tours, or cultural tours, are just some of the various ways you can enjoy the great cultural riches and natural beauty that Thailand has to offer. Holiday to Thailand is pleasurable to the senses and full of rich cultural experiences as well. Thailand is endowed with 4 major natural terrains: Northeast Thailand’s steppe farmlands; Northern Thailand’s forests and mountains; Thailand’s southern peninsula’s tropical island and Thailand’s Central Plains with their vast rice fields. 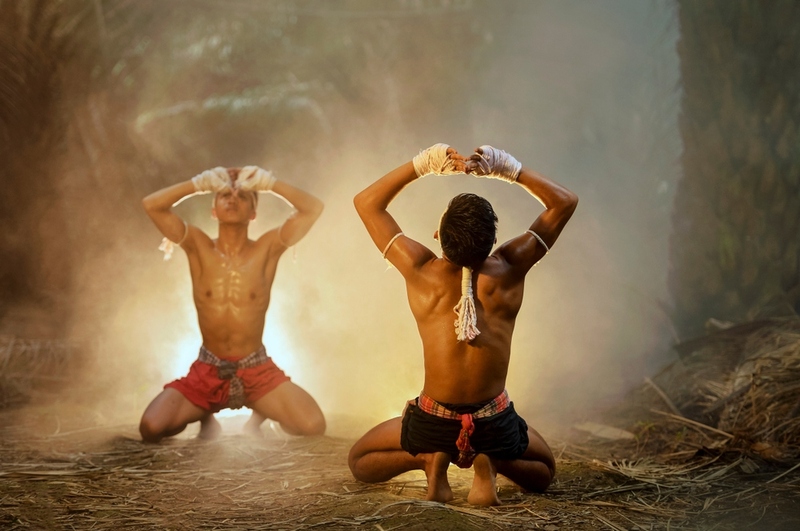 Whenever you visit Thailand, make it a point of duty to watch as many Muay Thai matches as possible, some of the matches you will watch will be characterized by displays from highly skilled Muay fighters with robust physical fitness. The precision and power of their kicking style is a beauty to behold. You will sometimes see 12-year-old kick boxers kick harder than many men from the western world. Sometimes you might be invited by the fathers of some of the young Thai Fighters to get in the ring and fight their little champion; do not oblige except you are well trained, else you will be embarrassed by the little kid. While watching a match in Koh Phuket, you will observe that the promoters allow some Australian MMA fighters to perform an exhibition in between Muay Thai matches. All the Muay Thai fighters will line the periphery of the ring and will watch intently as the Australian MMA fighters show off their fighting styles. You will also observe that there really is no comparison with the disciplined and regimented skill of the Thai Kick Boxers. If you observe the expression of the Thai Fighters you will notice that they will not be impressed by the display from the Australians. When compared to the Muay Thai Kickboxers, the MMA fighters will look slow and cumbersome; the fights will seem more like a brawl that is common on the streets and in most western bars. Muay Thai such as Suwit Gym for professional fighter is infused with history and tradition, something which is lacking in the western world. Before the start of each match the Kick boxers will perform the traditional Ram Muay or Wai Khru dance that give honor to the coaches of the fighters. The Asian style music and the drums set the tempo as both fighters enter the ring and perform their dance in unison. This dance is done as a warm up and stretching session before the match commences, and is pleasing to the eyes of the spectators. Due to the influx of western MMA fighters to Thailand to study the combat art of Muay Thai, there have been numerous training camps and gyms opening all over Southeast Asia. Some of the western fighters have extended their stay indefinitely, after having the experience of the beauty and rich culture that Thailand offers as they holiday with Muay Thai package and camp.